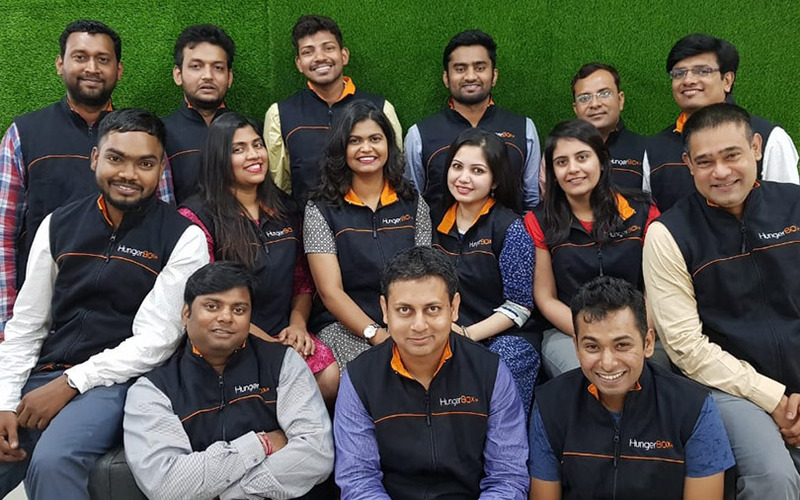 Bengaluru-headquartered HungerBox, an online platform that connects caterers and corporates, has raised $4.5 million (Rs 31 crore) in a Series A investment round led by South Korea-based investment firm Neoplux and India-centric mid-market private equity firm Sabre Partners, a company statement said. Its existing investors Singapore-based Lionrock Capital and Infosys co-founder Kris Gopalakrishnan also participated in this round. The company will use the funds to expand its operations in India and enter the Southeast Asian market, the statement added. “Many of our clients are MNCs and we have been receiving many requests for us to support them in markets outside India. Having marquee investors place their faith in us boosts our prospects, especially as we expand our operational footprint,” Sandipan Mitra, chief and co-founder, HungerBox, said. The startup was founded in 2016 by Mitra and Uttam Kumar, veterans of the food tech space who have previously worked with Just Eat India. HungerBox is promoted by GrowthStory, the venture-builder platform set up by serial entrepreneur K Ganesh and Meena Ganesh. “The strength of their technology-led solution, deep penetration into large corporate accounts and carefully calibrated growth means their business is extremely robust,” said Alex Noh, head of cross-border investment, Neoplux. Operated by Eat Good Technologies Pvt Ltd, the B2B-focused online platform offers corporates a digital platform to order food. Based on the reimbursement benefits offered by their company, employees can access and avail services offered by the platform through a mobile phone. They can then access an F&B menu provided by all enlisted food vendors at their workplace café’s, place orders and get food delivered. The company has four different categories of solutions clubbed together as a single offering, informally dubbed as the digital cafeteria management platform. Its solution also allows admin teams at the client’s organisation to track the entire F&B operation in real-time including food consumption, orders, and feedback. The service has integrated more than 50 different payment methods including in-app purchases by an employee, smart cards, m-wallets, and self-serve kiosks at the café’s. The 400-member strong HungerBox currently operates in nine cities including Bengaluru, Chennai, Hyderabad, Mumbai, Pune, Delhi/NCR, Jaipur and Kolkata. The startup collects commissions from the caterers, which is around 10% of their total sales. About 550 caterers operates 2,200 on HungerBox’s platform. “There is great potential to grow in other markets, especially elsewhere in the region as their clients’ own operations expand,” said Rajiv Maliwal, founder and managing partner, Sabre Partners. The company claims to clock more than six million orders a month or over 2 lakh orders per day across more than 160 digital cafeterias that it currently manages around the country. Its clientele includes corporations such as Qualcomm, Microsoft, FirstSource, Accenture, CapGemini, Genpact, ABB and McKinsey. HungerBox had last raised funds in January this year, when it secured $2.5 million in a pre-Series A round led by Lionrock Capital. Neoplux Technology Fund was set up in 2000 as the investment arm of South Korean conglomerate Doosan Corporation. It primarily invests in privately-held companies working on disruptive technologies and alternative energy. In April this year, Neoplux led a $5.52-million investment in OPxo.com, a digital publication targeted at young women. Last year, it invested in Bengaluru-based Delightful Gourmet Pvt. Ltd, which operates online meat and fish ordering platform Licious. Sabre Partners was founded by Rajiv Maliwal and has invested over $300 million in India. Its most recent investment was month, when it led a $10-million Series B funding to CoinTribe, a credit-based lending marketplace for small and medium enterprises (SMEs). The firm had invested in the restructuring of Centurion Bank of Punjab, which it subsequently sold to HDFC Bank. Its other investments include HCG Hospitals, Thyrocare, Oyster & Pearl, Vyome Biosciences, Portea and DCB Bank.